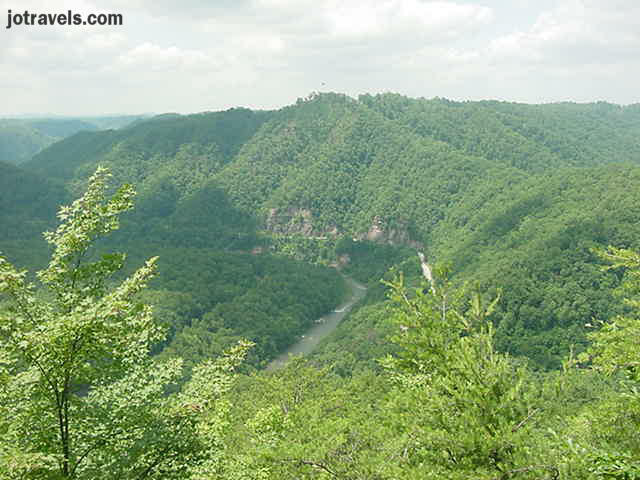 Right above the bend in the Russel Fork River, you can see the winding road that is in Kentucky. This was taken from the stateline overlook at Breaks Interstate Park. The part of the park that is in Kentucky is not developed.